“Mommy, why do my hair fall out?” – when Natalka asked this question, the fear of her life won. Tears came to my eyes because I realized that it was really happening. That death wants to take my daughter away. The image of the bald heads of other children did not hurt anymore. My laughing, mischievous child suddenly joined the group of small warriors, shoulder to shoulder fighting with a powerful opponent. There were days when Natalka only slept, she did not want to talk and nursed had to turn on parenteral nutrition. I thought: how many trivial problems we have had so far… I wanted to go back to my old life so much. Christmas, Easter, Natalka’s birthday – all in the hospital, because the oncology department has become our second home. Natalka spent almost a year away from home, school friends and a carefree childhood world. She lost weight, lost her hair, changed… In her eyesthere was seriousness and a kind of adulthood that should never appear in such a small child. Cancer caused it all. 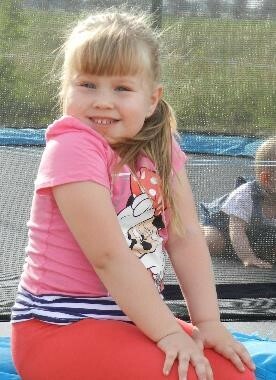 This eternally smiling girl has an extremely cruel wall to overcome – stage IV ganglioneuroblastoma of the right adrenal gland, metastases to the lymph nodes and bones. 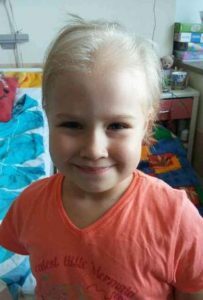 Thanks to everyone who contributed, we were able to support Natalka with $150,000, and she is now receiving Dituximab beta (immunotherapy) t reatment (not covered by Polish National Health Fund) at the University Children’s Hospital in Krakow. This treatment will reduce the risk of recurrence of the disease.